“I’m learning Kannada” – a better alternative to “Kannada Gothilla” which means “I don’t know Kannada.” My college roommate asked me to learn the phrase “Kannada Gothilla” when I first moved to Karnataka to study in Manipal about 6-7 years ago, and until about three months back that’s how I had survived in the state. My inability to pick up languages has made it really difficult for me to learn the language, in spite of spending 4 years in Manipal (Tulu is preferred there) and 2 in Bangalore (my Bangalore anniversary is round the corner – funny how i remember it). Being my mother’s favourite person (self-proclaimed) to talk to, I had heard about all the romantic escapades my parents went on when my father was posted in Bangalore, sometime in 1991. She would tell me small stories about how they would go looking for ice cream at 0100 hrs (a deliberate attempt at the fauji style of time – it’s 1 AM) or would walk down to some tiny coffee shop to sip on the famous ‘filter kaapi’. The images created by her anecdotes made me feel like I knew MG Road and Commercial Street like the veins at the back of my hand. And I grew up thinking about exploring the same streets my parents did, and I did, 24 years after they had. My tiny castle in the air collapsed just like the government demolished houses for building the Delhi Metro when I landed in Whitefield. “What is Whitefield”, my mother had asked me. “I don’t know, maa. But sounds pretty cool”, I had said. I don’t want to sound like I am complaining, but even the locals would agree that Whitefield is NOT Bangalore. Even though Bangalore is littered with these tech parks, Whitefield is the hub, the black hole (okay, not so bad, but not good either) with just offices, apartments, about four malls and that’s about it. Whitefield is the new IT hub of the IT hub, but hey, the rent for apartments here is cheaper (win *rolls eyes*). After so many years of stories from my parents and college seniors, I was determined to find the Bangalore I was promised. I discovered one of the best bus services in the country – BMTC – clean and convenient with helpful conductors, ready to help me in spite of not knowing Kannada. I put the day pass from BMTC to good use by hopping on and off buses on weekends to the other side of the town, exploring the streets, taking pictures and trying the popular BMD (Benne Masala Dosa) with filter kaapi. The vibe changes as you get closer to the heart of the city and beyond it, away from Whitefield. Life gets slower, coffee cups get bigger, buildings get older and the tolerance to “Kannada Gothilla” sort of reduces. Indiranagar, Koramangala and MG road – the standard stops for every non-Bangalorean to feel a little bit of Bangalore, are bustling with people moving in and out of cafes and restaurants with beautiful interiors and great lighting, for their late brunches or Friday/Saturday night plans or just strolling around and window shopping. While Indiranagar and Koramangala are fairly new and caters to the millenials more than the rest of the population, MG Road, Malleshwaram etc. are the places where the older crowd goes. 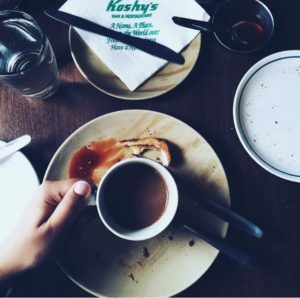 I am not stereotyping – I possibly can’t, because Koshy’s – a cafe established in 1940 is my favourite place to go to eat. The hurried waiters scurrying around in their white uniforms, to take and complete orders, the low prices, the beautiful Koshy’s special coffee to linger on, are my saviours at the end of a bad week. And if that wasn’t enough, very close to Koshy’s is Blossom Books House. Blossom sells new and used books at a discounted price, with their staff so sweet, constantly helping their customers find every kind of book on the three floors that the bookstore is fit in. Book hauling followed by mutton omelette and special coffee in Koshy’s is a standard Saturday affair for me. Apart from these, Church Street, Brigade Road and MG Road are full of little stops of joy with its numerous book stores and coffee shops and eateries. It’s beautiful to sometimes sit and watch people having a relaxed lunch of steak and good old Bangalore beer (I never notice what the vegetarians eat, but I hope it is good). Also, at MG Road is Cubbon Park – a well know area for joggers, dog-walkers, photographers alike sprawled over 300 acres, filled with tall bamboos which make a crackling sound as the wind passes through them (possibly the most calming sound). A walk around Malleshwaram, near the old eating joints, takes you away from all the bustle around the city. The morning starts with dog walks and the smell of fresh idlys and vadas being prepared and yet again the ‘filter kaapi’, which gives way to a lazy afternoon with evening-like weather at 3 in the afternoon, followed by a run/jog/walk around Sankey Tank while the sun slowly sets at the horizon. All this, I got from just two trips to the area. Koramangala and Frazer Town have been very popular for Iftaar food during Ramzan, so much that the police had to ban food stalls around Frazer town due to congestion. This year I made it to Koramangala for it’s Ramzan treats of chicken, mutton kebabs, even camel by the way and locally made ice cream, brought to Bangalore from restaurants all over the country. One city and there is always something happening. Always. 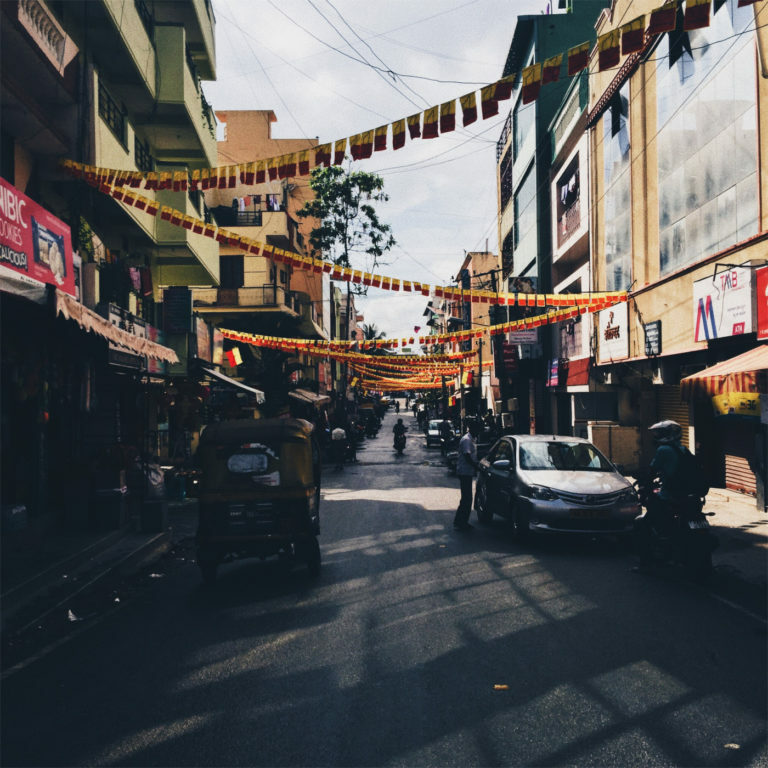 Bangalore is the perfect mix of culture that a person needs in his life these days. You cannot stay away from the speed anymore, yet need to maintain some contact with art and culture. You need your malls for a quick place to shop as well as a casual stroll through the streets haggling with the vendors. You have your comfort with Ubers and Olas and the annoying “Swalpa adjust maadi” (Please adjust a bit) in the buses. Many might say how does that differ from any other metropolitan city of the country, but each city has it’s own air, it’s own flavour, it’s own culture for you to try – and I have fallen in love with this beautiful city (only second to Chandigarh, I guess). 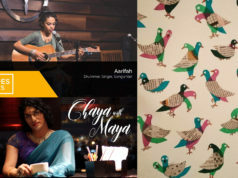 For some it might feel that I haven’t captured Bangalore’s spirit enough, well I can’t be as good as somebody who grew up here, but I can tell you this much – Bangalore, probably is the only city where I have spent so much time and not begun to dislike it. I have learnt how to communicate with people who don’t understand my language. I have learnt how to be a grown up here. I have learnt that every street corner you turn at has a story to tell. I have learnt how to connect and then disconnect from time to time. Arunita is a millennial trying to grow and understand the world around her with cups of coffee and tea and a book tucked under the arm. She documents her writings on her blog, Instagram and Facebook.